New collagen and elastin production. Improved skin texture and softness. Enhanced skin clarity and radiance. 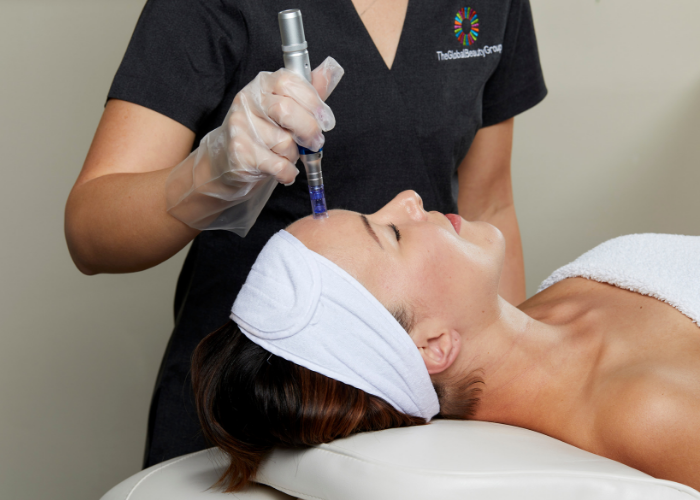 Take skin needling treatments to an advanced new level with the Dermal Pen PRO. This mechanised fractional skin needling device features a vertical treatment head that penetrates the epidermal and dermal layers up to 2.5mm without risk of stretching and bending the skin like manual dermal rollers can. Quality metal casing designed for optimum user comfort. Adjustable needle length (0.25mm – 2.5mm) for tailored treatment depths. Portable battery working mode for cord-free operation. Continuous power mode with DC adapter. Uses Micro Needle Therapy System and Permanent Makeup System needle cartridges. Quiet operation provides patients with a calm treatment experience. 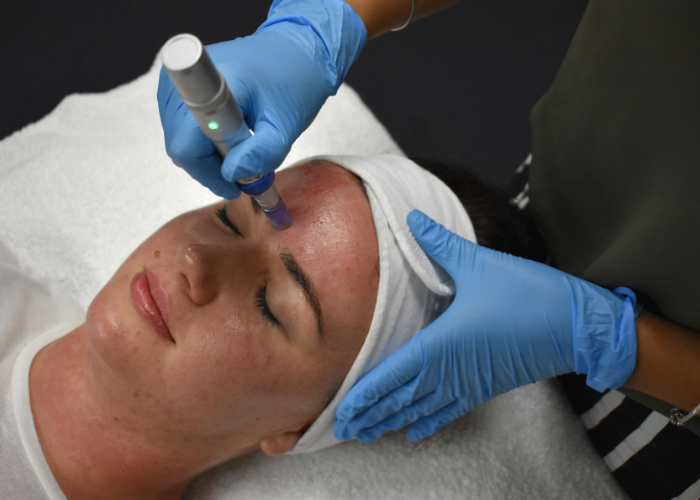 Rapid automatic treatment head administers vertical micro-injuries, minimising trauma to the epidermis. Adjustable speed and needle penetration allows clinicians to provide fine-tuned treatment according to the skin condition (e.g. – 2.5mm for pitted acne scars or 0.25 for sensitive eye region). 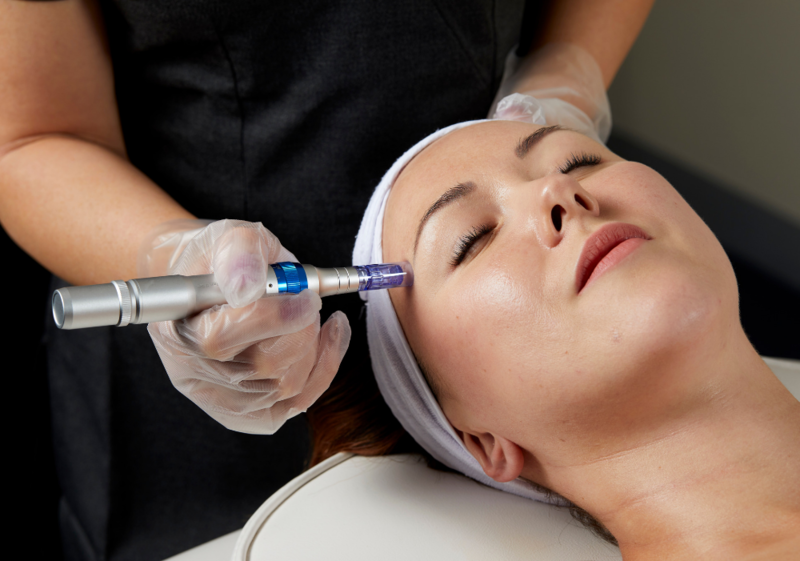 The controlled micro-injuries trigger the skin’s wound healing response, promoting collagen and elastin synthesis to renew skin texture and reduce irregularities. Treatment is enhanced when skin corrective topicals are applied, allowing the needles to drive the active ingredients deeper into the dermis. The device can be used on the face, neck, décolleté and backs of hands. 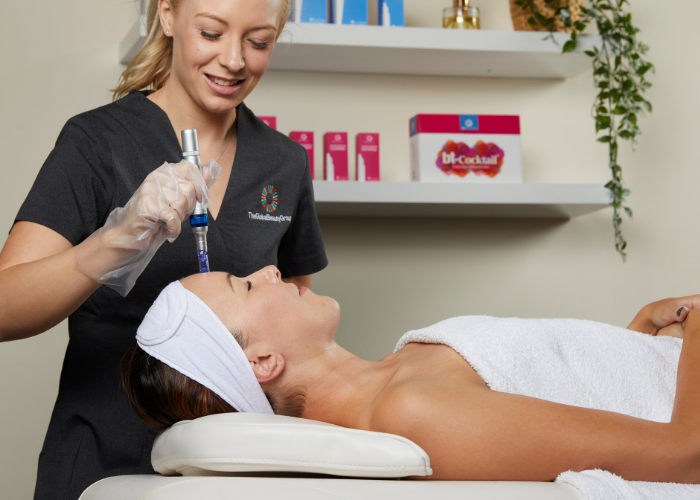 Sophisticated engineering reduces bleeding, pain and recovery time when compared to other skin needling tools. Encourages repeat visits with treatments spaced at 4-6 weeks to allow full cellular regeneration. Firms and volumises ageing skin. Fills pitted acne and chicken pox scars with new, healthy skin. Improves overall skin clarity and freshness. Reduces surgical scars and stretch marks. Improves skin strength and resilience. Deepens penetration of skin corrective topicals.